Social media has transformed interactions of all kinds. One of the biggest changes has occurred in the way businesses can now interact with people. Instead of calling a number with your burning cereal-related questions and comments, you can now tell General Mills directly how much you like their Lucky Charms. Sweet! Conversation between companies and their consumers, when done right, can be a very powerful thing. Yet there are times where I just don’t get it. 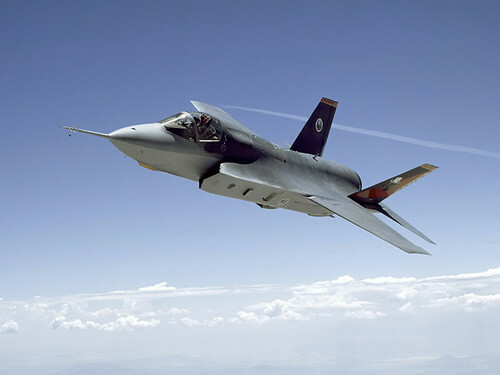 For example, recently in marketing class (yawn) we were taken to the Lockheed Martin website. Now keep in mind that Lockheed Martin gets 90% (or more) if its revenue from business with the US government. Yet, sure enough, in the upper right hand corner of the site they invite you to follow them on Youtube, Twitter, and Flickr. Really? Besides giving bored government employees something to do, I cannot think of a reason Lockheed Martin would need to engage with their consumer base via social media. Unless some billionaire stumbles upon their website and finds a cool Flickr photo of a jet they want, how does having a presence in social media help them in any way? (Although, I guess if that mystery billionaire did find them via social media, it would make their whole campaign worthwhile..). But really, Lockheed Martin knows who its customers are. It most likely has a very private and close relationship with the government that provides almost all of its business. As for the remaining 10%, I am willing to bet they know exactly who their customers are. Unless they are doing it to solidify their role as a “cool” company, or doing it to attract potential employees, why bother with the social media stuff? In my opinion, social media is best used to facilitate conversation and understanding between a business/individual and those interested in what that business or person is doing. With business and customer interaction a company can begin to understand exactly who their customers are. They can hear the features their customers enjoyed, receive suggestions for future improvements, and interact with the people who take an interest in what their company is doing. The US Department of Agriculture (USDA) has a similar obsession with social media as demonstrated by their many “follow me” icons. But, after checking their links they too are not taking full advantage of the medium. Their tweets spew out links to their latest blog posts, while their blog talks only about USDA events. With a topic that so many people are passionate about, would it be hard for the USDA to get involved in the conversation? Maybe they could talk about new research they have done, trends they have noticed, and enlist the help of people who are passionate about agriculture and health. By doing nothing of the sort, they are losing the chance for interaction with people who could take action in their communities and create positive agricultural change. As a relatively new medium, I imagine that companies (and possibly even the government) will someday figure this out. Regardless, I want to hear what you think. How should companies use social media? How should individuals interact with companies who are actively engaging with their customers via such tools? As I have blogged in the past, I think much of “social media” is actually “anti-social media”. Where is the personal connection? Where is the dialogue, the exchange of ideas, the non-verbal communication that often times says more than than words? Social media is a great forum to share thoughts and experiences, and to challenge conventional thinking – like the purpose of this blog. As much as I hate an airplane ride, the interpersonal conversations and seeing people, sharing laughs and getting to know them as somebody – not just anybody – is worth the effort. Seeing people’s facial expressions when discussing thorny issues communicates more than words or a PowerPoint presentation ever could. And seeing the smile and joy in someone’s eyes when they’ve been recognized for doing something fabulous is priceless. All those intangible benefits and delights are lost – or at the very least diminished – in social media. Let’s not forget the real social media – our personal interaction with people and the importance of gathering as a community on occasion to celebrate something, anything. Or, to gather just because. To paraphrase a well known saying, not many people on their deathbed will wish they spent more time on Facebook.